You'll be £19.99 closer to your next £10.00 credit when you purchase The Journey's End Battalion. What's this? R.C. 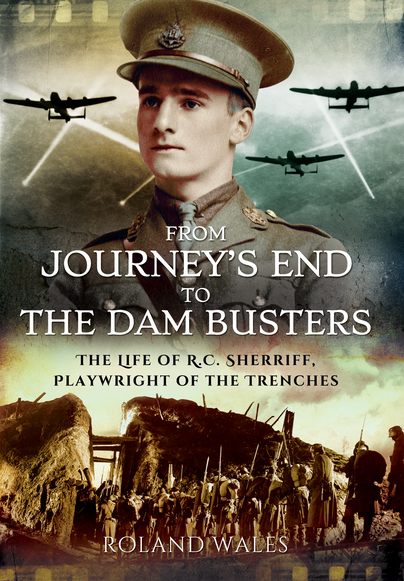 Sherriff, author of Journey's End, the most famous play of the Great War, saw all his frontline service with the 9th Battalion East Surrey Regiment. This intense experience profoundly affected his writing and, through his play, it continues to have a powerful influence on our understanding of the conflict. Yet the story of his battalion – known as 'The Gallants' after the bravery it displayed during the Battle of Loos – has never been told in full until now. In The Journey's End Battalion, Michael Lucas gives a vivid account of its history. Using official and unofficial sources, diaries, letters, and British and German wartime records, he describes the individuals who served in it and the operations they took part in. He identifies the inspiration for Journey's End and considers how Sherriff delved into his experiences and those of his fellow soldiers in order to create his drama. The narrative covers the battalion's bloody initiation at Loos, its role in the fighting on the Somme at Guillemont and Delville Wood and during the Third Battle of Ypres, then the part it played in the desperate defence against the German 1918 offensives and its contribution to the Allied advance to victory. Despite the presence of Sherriff and other notable individuals, the 9th East Surrey was in many ways typical of the southern Kitchener battalions, and Michael Lucas's account of its service provides a fascinating contrast with the northern Pals battalions whose story has been more often told. So not only does the book shed new light on the wartime experience of R.C. Sherriff, but it is a valuable record of the operation of a British battalion on the Western Front during the Great War. Another well-researched and presented history of an infantry battalion of Lord Kitchener's New Armies...We are treated to a detailed narrative, laced with maps and some good photographs. The Journey’s End Battalion is a valuable history worthy of considerable praise. Michael Lucas' history of 9/East Surrey Regiment grew out of his research into the service of a relative. Only whilst researching did he become aware of the service, and the rich archive of the playwright R. C. sheriff and his service with the battalion. In clear, well-written prose The Journey's End Battalion presents a rounded history of 9/East Surreys. It is a valuable history and one worthy of considerable praise. Over the years, many books have been written about the Pals regiments. Far less has been written about the Kitchener regiments, country-based units which attracted a much wider recruitment base. In this book, Michael Lucas provides an excellent insight into the story of the Great War service of the men of the 9th Battalion, East Surrey Regiment – an account which takes the reader through the raising of the battalion, the early months in training at home, the move to France, its first action at Loos, the Somme, Ypres and the battles of 1918. Recommended. There are many battalion histories on the Great War in print today, most of them focusing on the Western Front. So what makes this one different? For one thing, it's extremely well researched. The sources support a fine narrative that tells the battalion's story from its much more efficient operations of later years. Although mostly written as a narrative, the book includes some excellent studies of the way the prisoners were treated, as well as data tables and graphs that allow readers to carry out their own analysis of how and when casualties occurred. 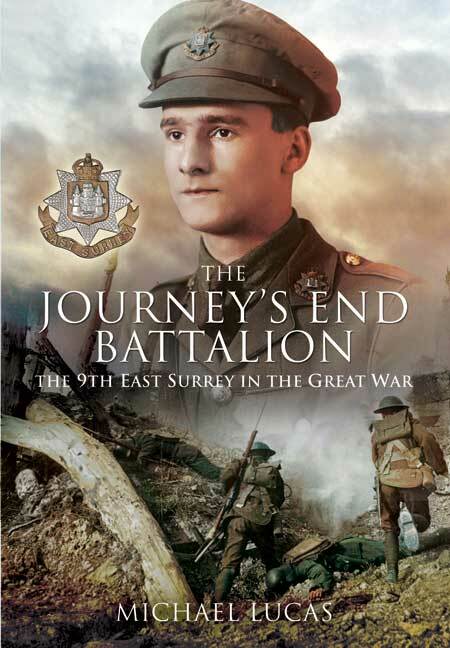 The Journeys End Battalion tells the remarkable story of the 9th Battalion East Surrey Regiment and its service in the First World War. More than 850 men lost their lives while serving with the 9th East Surrey, and it suffered 50% casualties on its second day at the front during the Battle of Loose. The Battalion went on to serve on the Somme and Ypres and was almost annihilated in a famous last stand in March 1918. This book makes for compelling reading. Many books have been written about the Pals regiments, in which whole villages or businesses sent large groups of young men - all friends - into the First World War. Far less has been written about the Kitchener regiments, county based organizations which attracted a much wider audience. This is the story of the East Surrey Regiment initially made up of a mixed bunch of lawyers, coalmen, police, navies, burglars as well as prominent county families. One of the soldiers was a certain R C Sherriff. Surprizingly he managed to survive the entire conflict despite being in the army from 1914 to 1918, and taking part in many of the bloodiest battles. His experiences led him to write Journey's End, the most famous play of the Great War. Lucas has set out to look at Sherriff's role in the War and combined it with the story of the East Surrey Regiment. It covers everything from the dreadful battle of Loos, Somme and Ypres to the desperate defence against the Germans final offensive in 1918. It makes interesting reading. Lucas has undertaken careful research and paints a picture of a battalion at war, and how it survived. Military historians and anyone interested in military history will find this book useful and fascinating. Michael Lucas’s initial interest in the 9th East Surrey was sparked off by family connections, and he has made an in-depth study of the history of the battalion – and of the part that R.C. Sherriff played in it. As well as consulting a wide range of published and archive sources, he has contacted descendants of soldiers who served in the battalion. He has published a number of articles, chiefly on the Great War, including two in Stand To!, the journal of the Western Front Association.